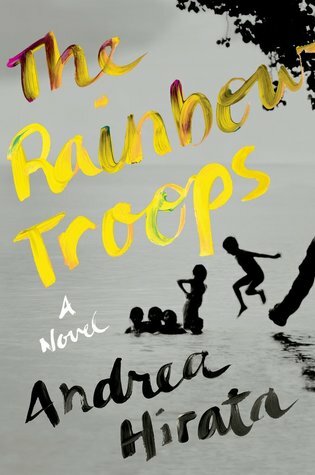 Published in Indonesia in 2005, "The Rainbow Troops," Andrea Hirata's closely autobiographical debut novel, sold more than five million copies, shattering records. Now it promises to captivate audiences around the globe.Ikal is a student at the poorest village school on the Indonesian island of Belitong, where graduating from sixth grade is considered a remarkable achievemPublished in Indonesia in 2005, "The Rainbow Troops," Andrea Hirata's closely autobiographical debut novel, sold more than five million copies, shattering records. Now it promises to captivate audiences around the globe.Ikal is a student at the poorest village school on the Indonesian island of Belitong, where graduating from sixth grade is considered a remarkable achievement. His school is under constant threat of closure. In fact, Ikal and his friends--a group nicknamed the Rainbow Troops--face threats from every angle: skeptical government officials, greedy corporations hardly distinguishable from the colonialism they've replaced, deepening poverty and crumbling infrastructure, and their own low self-confidence.But the students also have hope, which comes in the form of two extraordinary teachers, and Ikal's education in and out of the classroom is an uplifting one. We root for him and his friends as they defy the island's powerful tin mine officials. We meet his first love, the unseen girl who sells chalk from behind a shop screen, whose pretty hands capture Ikal's heart. We cheer for Lintang, the class's barefoot math genius, as he bests the students of the mining corporation's school in an academic challenge. Above all, we gain an intimate acquaintance with the customs and people of the world's largest Muslim society.This is classic storytelling in the spirit of Khaled Hosseini's "The Kite Runner" an engrossing depiction of a milieu we have never encountered before, bursting with charm and verve.